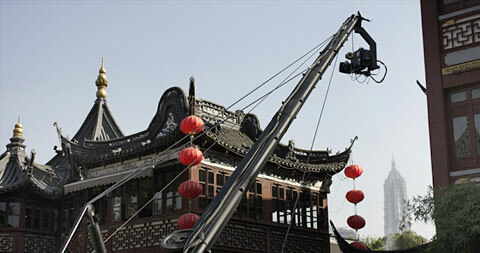 The whole project, carried out between 2008 and 2010, brought our film crew to 3 continents: the documentary was shot in Europe (in the Slovak Republic and Monaco), in Asia (China), and in North America (in the United States and Canada). This was compounded by the need of shooting architecture in sunny weather – and the truth is that there is a lot of smog in Shanghai, and a lot of rain... in spite of that fortune eventually did smile on our cameramen. 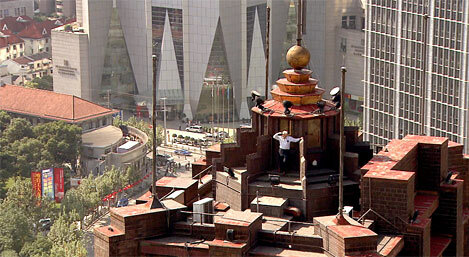 “When I wrote in my script that Theo Hudec, son of the architect, would be seen walking on the roof of the Park Hotel and that the camera would gradually zoom away from the roof until showing the entire Park Hotel as a dwarf among the skyscrapers in today’s monumental People’s Square, I did not really believe this idea could eventually be put into effect. Just to get Theo to China... find a suitable skyscraper to offer good view of the roof of the Park Hotel... We used Jimmy Jib, a steadicam... shooting in the FULL HD technology. In the end, the incredible came true thanks to the support of the Embassy of the People’s Republic of China in the Slovak Republic and the Chinese governmental organization Shanghai People’s Association for Friendship with Foreign Countries. 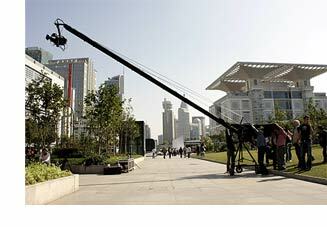 We shot all the important buildings by Ladislav Hudec in Shanghai,“ – the film director recalls.